Asia, Europe, US, you name it. I have been to 20 countries in the last 11 months and I wanted to take some time to give you guys a list of my 5 favorites from the last year. Obviously this will include my own personal bias so take the list with a grain of salt. I will try to keep the list diversified so it's not too centered on a single type of city. Without further adieu lets get right into it. To kick this list off I'll start with a place that really made me step outside my comfort zone. Dubai was my first time truly in Asia. My time in there was spent 50/50 of being upset the weather was quite crap and I was unable to shoot and the other part being in pure awe of the scenes and culture. Dubai is known for its Utopian like building and rich culture. Being a super city located in what seems like the middle of the desert is very unique. Home to the Burj Khalifa (currently the tallest building in the world) and the Dubai Mall (biggest mall in the world), Dubai is home to doing it the biggest and best where they can. Dubai is absolutely massive and the Metro is not too well established yet, so I found it easier to get around using Taxi. The Metro is really affordable, just not convenient for a few days stay. I would love to go back and maybe rent a car or have a personal cab driver handy with the knowledge I do now. I also did a day trip to Abu Dhabi which I hired a private limo for. The trip is about an hour by car. I went to Sheik Zayed Grand Mosque. One of the coolest experiences of my life was spending the day here and watching the sun set with my cab driver. Seeing the details of the mosque and how their religion and culture functions was really interesting to me. I recommend doing this if you have a free day in your itinerary. Food in both places can be as expensive as you want, Dubai is known for having extremely good food, however it will cost you a pretty penny. Coming in at #4 is Paris, France. I had heard that Paris was a hit or miss city. Some folks told me they absolutely loved it, while others told me they hated every second of it. I found that I really enjoyed my time here but didn't get to see enough in my short stay. I stayed about 2 blocks from the Trocadero Gardens, the most famous view of the Eiffel Tower. This made it easy to go to the iconic spot for Sunrise on my first morning which turned out to be a beautiful scene. Paris also has a really solid metro system which I had no issues navigating (use GoogleMaps for Metro Routes). 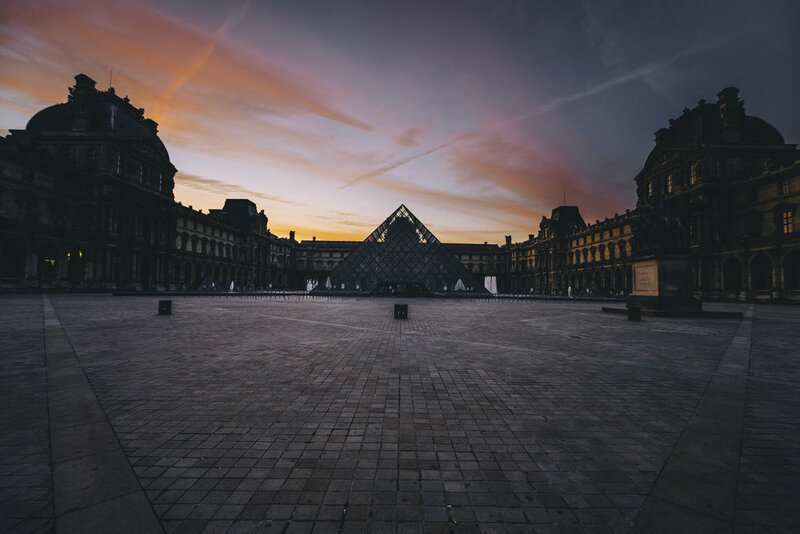 I was able to go to a few museums, including the Lourve which was my favorite museum I have been to around the world. The food was quite good as well, I wish I would've been more adventurous with food back then, but unfortunately I cannot time travel. I am hoping to get back to Paris in the next few years and explore a lot more than I did my first time around! Now I couldn't create a list of the best cities I have been to without including any North American cities, so I decided to include my favorite in New York City, New York. The city has so much history and culture packed into such a small area. I have been to NYC a total of 3 times so far, each time I go I end up discovering new and enjoying it even more than the last. The food in New York is really some of the best I have had around the world. You can get any type of cuisine you desire all in one city. The subway system is quite convenient as well once you learn it (again I recommend using GoogleMaps to navigate it). You can use Uber/Lyft/Taxi, but expect to pay handsomely for these services. New York is absolutely massive as well so thinking you can walk from Time Square to the Brooklyn Bridge is not such a good idea (yes I did it, no I don't recommend it). One trip to New York is never enough, each borough requires a couple of days to itself and since there is 5, it's no easy feat. I highly recommend New York to anyone who has never been to the US as a great starting point to understand what it's really like to be an American. Now I fully expect some of this to be recency bias, but I stand by my rankings. Tokyo comes in at #2 for me. I made a trip here by myself for 6 days and had an absolute blast front to back. The food was absolutely phenomenal from the ramen to yakitori. The shopping was fantastic as well, I spent an entire day in Harajuku checking out stuff and the scene was really cool. The city carries a very cool aesthetic that is driven by one of the best cultures I have ever experienced. The people were so friendly and helpful doing everything they could to make my stay more pleasant. Also being that I grew up on lots of Japanese anime and video games, I hit a big wave of nostalgia when I was here. Even though the weather didn't really cooperate it was one of the best experiences I have ever had in my life. The metro, although appearing to be very confusing, is super easy to understand and convenient. The Neo-Tokyo aesthetic is very real come night time as well. This is a place I plan to return to in the next few years because of how pleasant my experience was. Tons of places to shoot amazing images as well, including the best street photography in the world (that I have experienced). The best city in the world for me thus far, Hong Kong. I think this boils down to experience. Getting to explore the city with one of my best friends and eating some of my favorite dishes for 8 straight days is something I almost never get to do. Hong Kong is super friendly to English speakers. The metro system is insanely easy to understand and very convenient. I was able to cover so much ground in Hong Kong in my 8 days there. From the tourist spots all the way to hidden gems and hikes many people don't do when they go to Hong Kong. I think I ate dimsum on a daily basis (no regrets). We spent a lot of time rooftopping here and enjoying unique views of the city and this provided a thrill as well. I met some of the nicest people and life long friends here too which is something I will never forget. Hong Kong was a place I thought I could find myself spending a few months in finding some new to do everyday. I definitely plan to come back here and spend more time and highly recommend this to anyone reading. I have been to so many other cities that didn't make the list that probably deserve recognition too (Venice, London, Shanghai, Kyoto, San Francisco, Los Angeles, Chicago etc). I hope you enjoyed reading about some of my favorite places on earth. I'd love to hear what yours is and why. Drop a comment below.